As Spring becomes early Summer Provence is at its best. The roadside cherry stalls have sprung up bringing the latest wave of fresh local fruits that leads us from the strawberries of Spring, through the cherries and melons and into the apricots and peaches of summer. 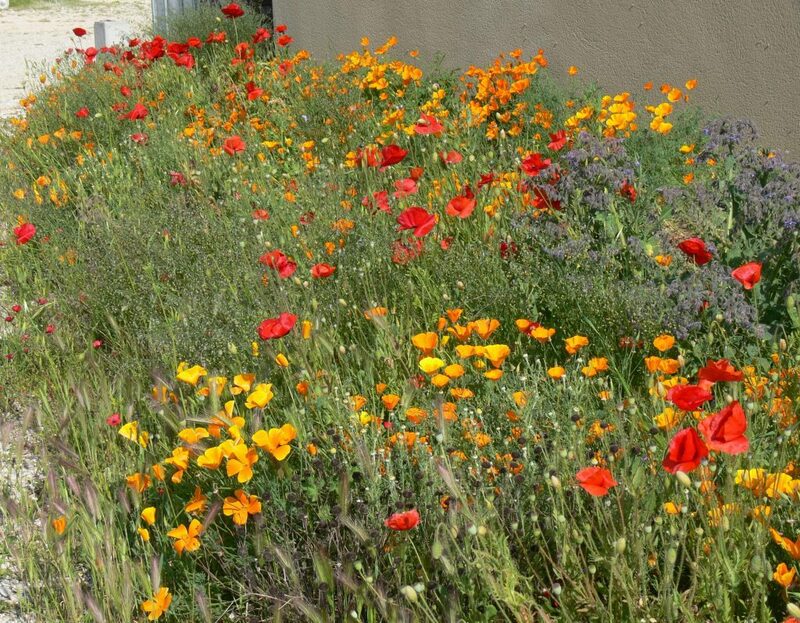 The roadsides are full of poppies and this patch of wildflowers by the winery is magnificent. Some days it is tempting to think Summer is here, but nature pulls us up sharply for getting ahead of ourselves, as the hot summery days are broken up by the cooler fresher days of late Spring. Meantime the vines are gathering pace and will soon be flowering, a crucial time, during which we hope for warm settled weather. Fingers crossed!